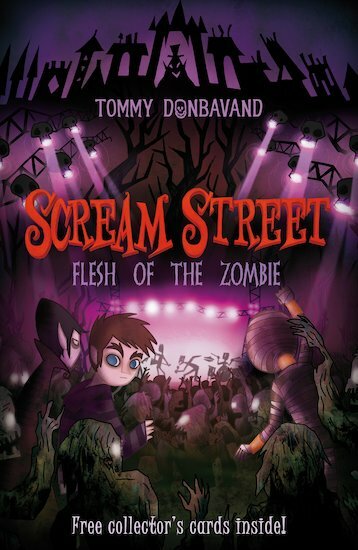 Deadstock, the world’s greatest zombie rock festival, has arrived in Scream Street! The community is filled with rotting revellers from around the globe. Sir Otto Sneer, however, is not in the mood for dancing – and causes a riot by banishing headlining flesh-metal band Brain Drain to the evil Underlands. If Luke and his friends want to restore the neighbourhood’s peace and find the relic they seek, they’ll have to follow the band… into the darkest depths of the earth!